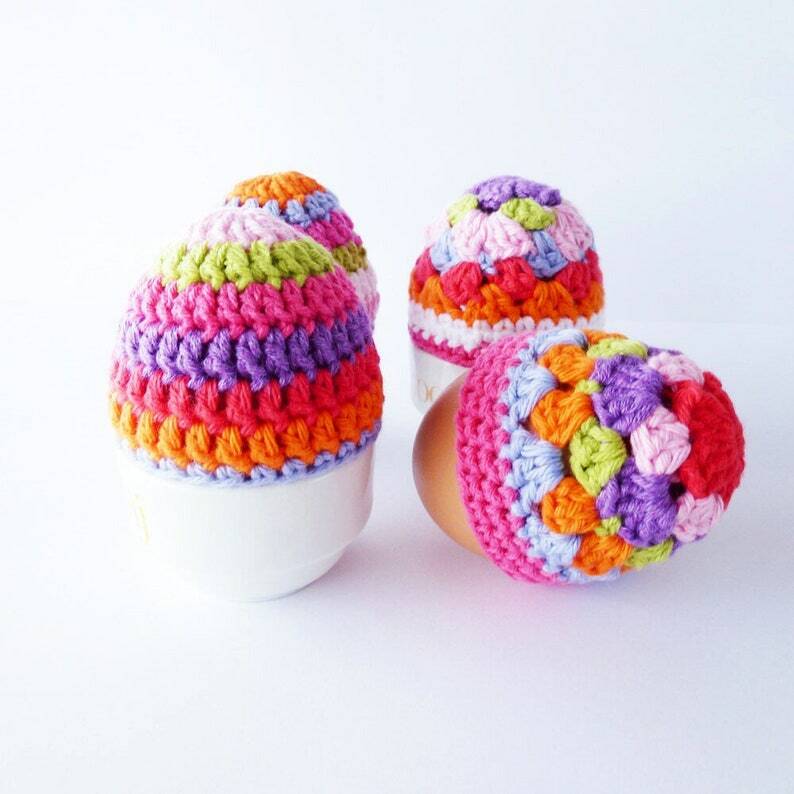 Get ready for Easter with these cute Egg Cosies. If you order this listing you'll receive the crochet pattern for both Egg Cosies. So you'll receive the pattern for the striped version and the granny square version. The patterns are designed by me and contain all instructions to make your own egg cosies. All my patterns are in US crochet terms. There is a Dutch version available as well. I used Catania Cotton and a crochet hook size 2.5mm (US 4) for this pattern. The pattern contains my email address just in case you need help during the making of this pattern. Please don't hesitate to contact me if you need help, I'm happy to help if necessary. really loved making these! many thanks..
Bought for a friend that does crochet - she loved it - now I'll put her to work - many thanks!